Every now and then, the Windows Installer can also encounter some problems or glitches. One of these problems is where the Windows Update Standalone Installer, Windows Defender as well as Windows Firewall that throws an error message that says, “The specified service does not exist as an installed service, 0x80070424”. This type of error can actually affect various applications in your computer so you have to fix it as soon as you can. Although there is no clear reason what really causes this error, there are various suggestions you can try to fix it. Windows 10 have various troubleshooters that can help you resolve many system issues. So if you’re dealing with errors “The specified service does not exist as an installed service, 0x80070424”, you can run the Windows Update troubleshooter to resolve it. To run it, go to Settings and then select Troubleshoot from the options. 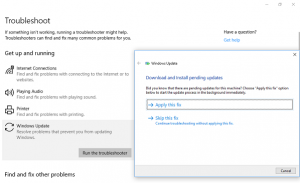 From there, click on Windows Update and then click the “Run the troubleshooter” button. After that, follow the next on-screen instructions and you should be good to go. In the Start Search, type “command prompt” and right click on Command Prompt from the search results. Then click on the “Run as administrator” option to open Command Prompt with admin privileges. Now execute each one of the given commands sequentially and hit Enter right after you type each one of them. After executing the given commands above, wait until it says, “W32Time successfully registered”. First, type “command prompt” in the Start Search and right click on Command Prompt from the search results. Note: The commands you’ve just executed will make sure that the required Windows services are available. You might also want to download and install the latest Windows Update Agent as it could also help you resolve the “The specified service does not exist as an installed service, 0x80070424” error. After that, type each one of the following command and hit Enter after you key in one after the other. Note: The commands you entered will stop the Windows Update components such as Windows Update service, Cryptographic services, BITS and MSI Installer. After disabling WU components, you need to rename both the SoftwareDistribution and Catroot2 folders. To do that, type each one of the following commands below and don’t forget to hit Enter after you type one command after the other. Next, restart the services you’ve stopped by entering another series of commands. Don’t forget to hit Enter after you key in one command after the other. 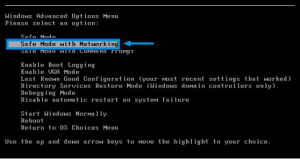 Close Command Prompt and reboot your PC and then check for Updates on your computer and see if the error is resolved. You could also try to run the Windows Firewall troubleshooter as it might also help you fix the problem. This could help in repairing and fixing Windows Firewall issues automatically. Check if it’s available for your Windows. 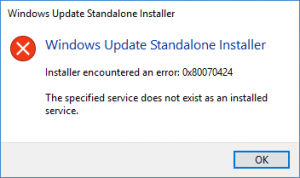 Aside from errors like the “The specified service does not exist as an installed service, 0x80070424” error, if your computer is going through other system-related issues, there is a one-click solution known as Advanced System Repair you can use. 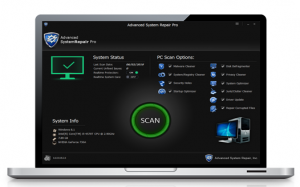 This program is a useful tool that could repair corrupted registries and optimize your PC’s overall performance. Aside from that, it also cleans out your computer for any junk or corrupted files that help you eliminate any unwanted files from your system. This is basically a solution that’s within your grasp with just a click. It’s easy to use as it is user-friendly. For complete set of instructions in downloading and using it, refer to the steps below.